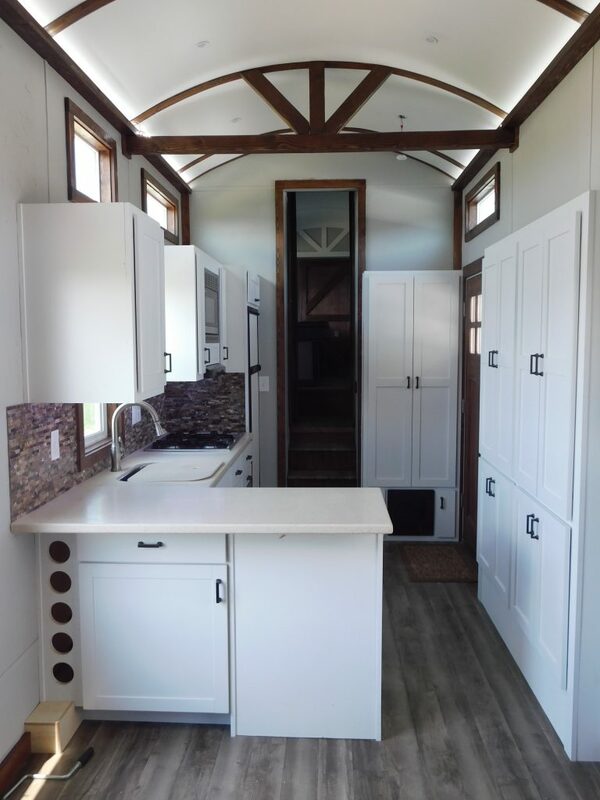 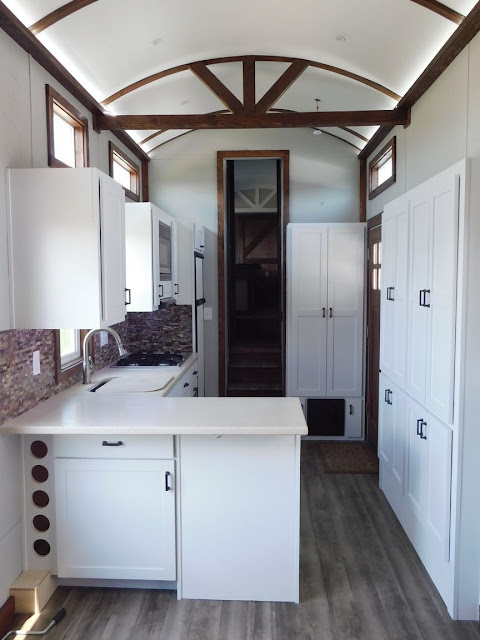 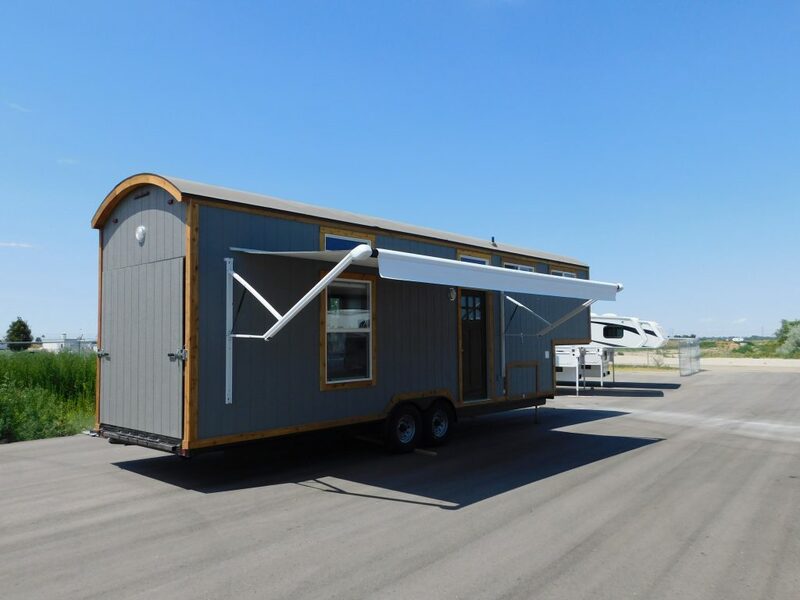 From Tiny Idahomes is this tiny house measures 280 sq. 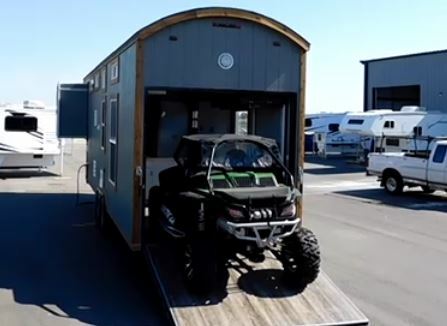 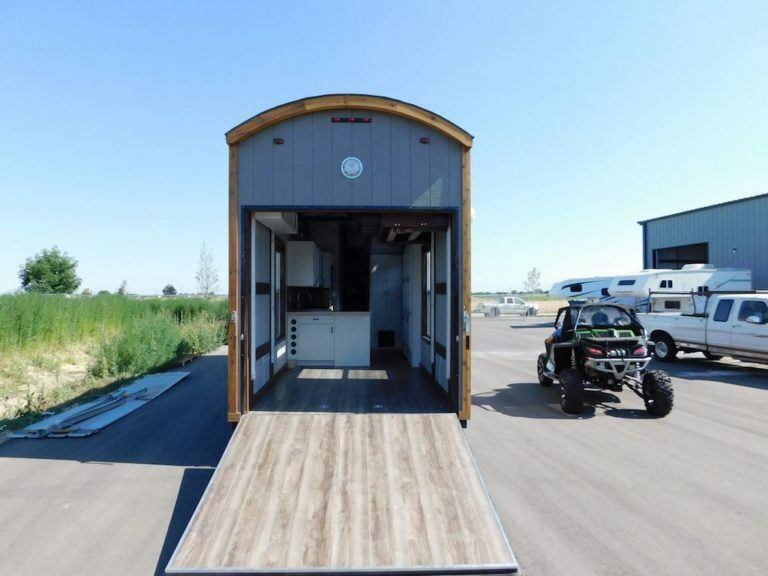 ft. and is the perfect home if you are ready to get off of the grid with your motorized toys! 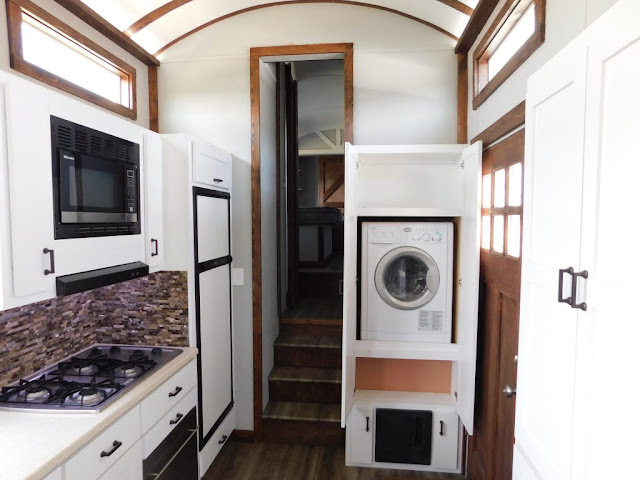 Just inside of the front door is the kitchen. 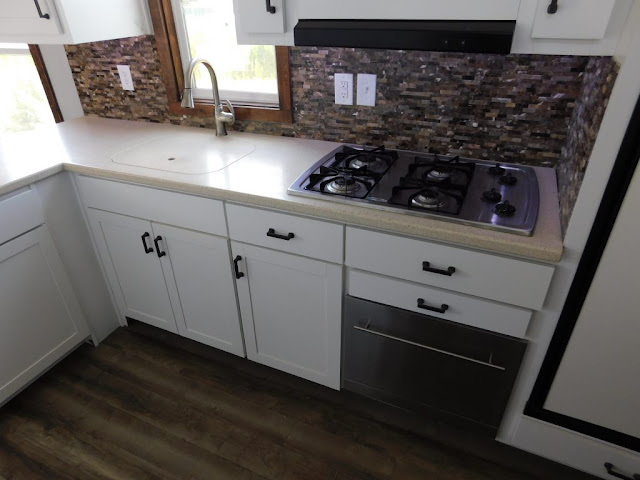 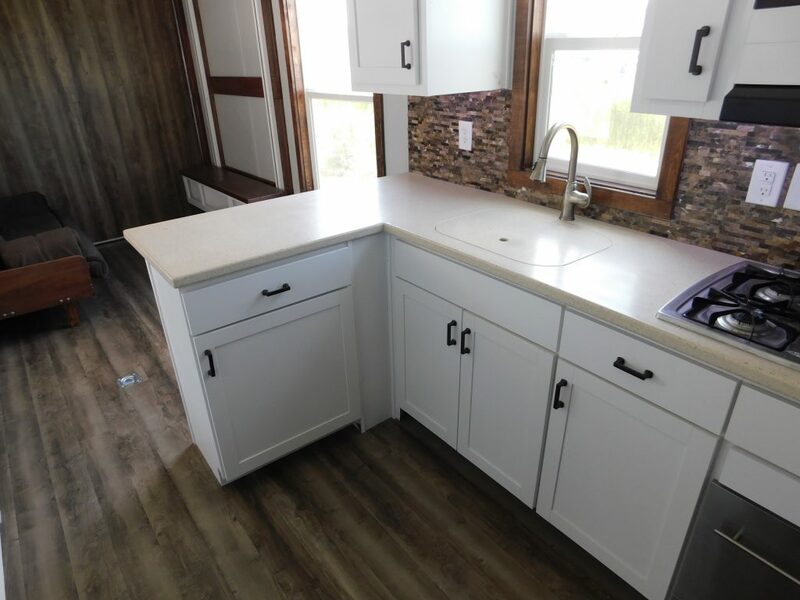 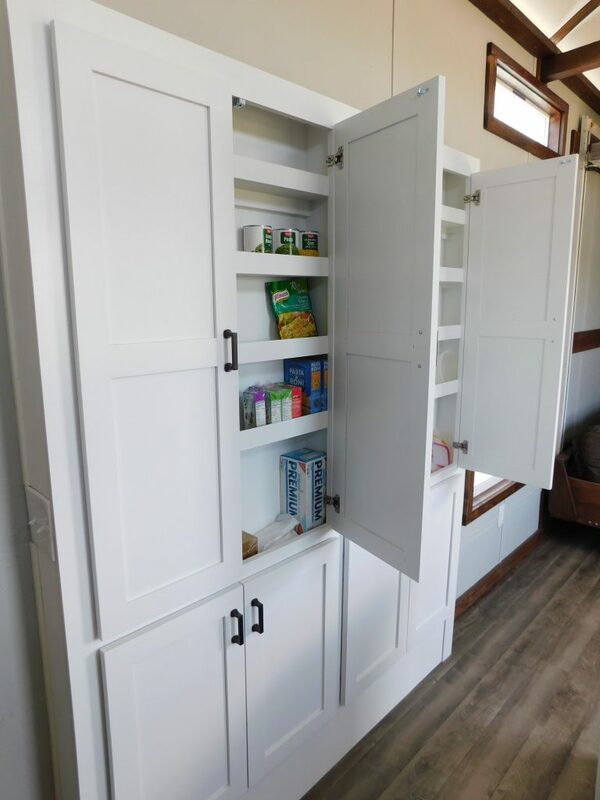 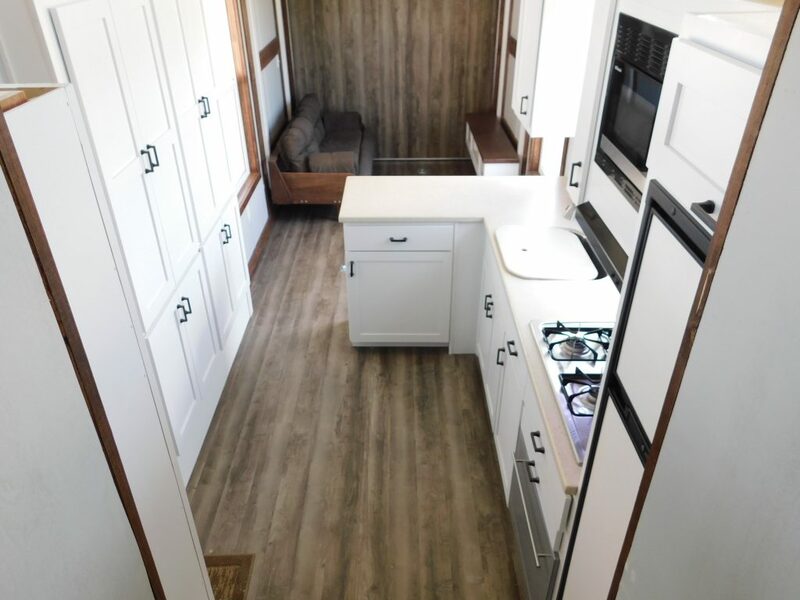 This space features white Corian countertops, white cabinetry, tile backsplash, 4-burner range, stainless steel sink, microwave, dishwasher, mini fridge/freezer, pantry and a compartment with a washer/dryer combo unit. 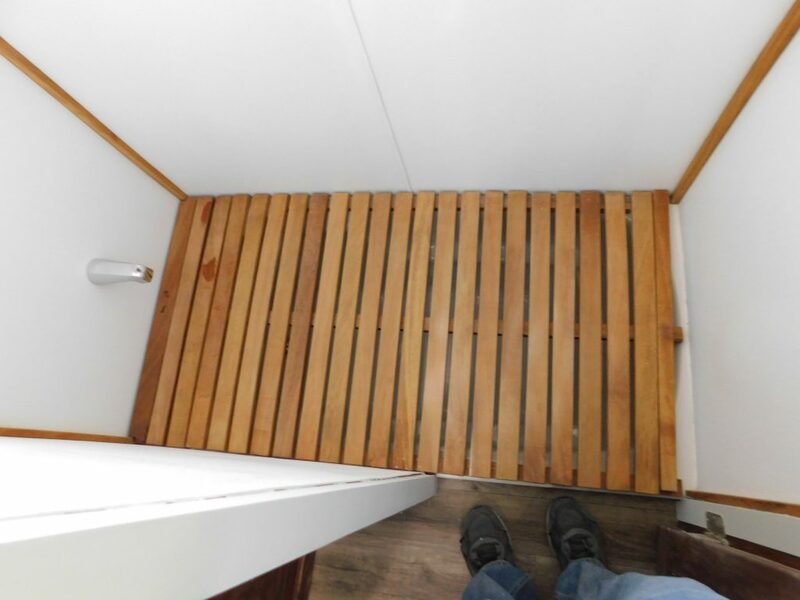 If you head to the right of the kitchen you will pass the bath and toilet rooms before reaching the bedroom. 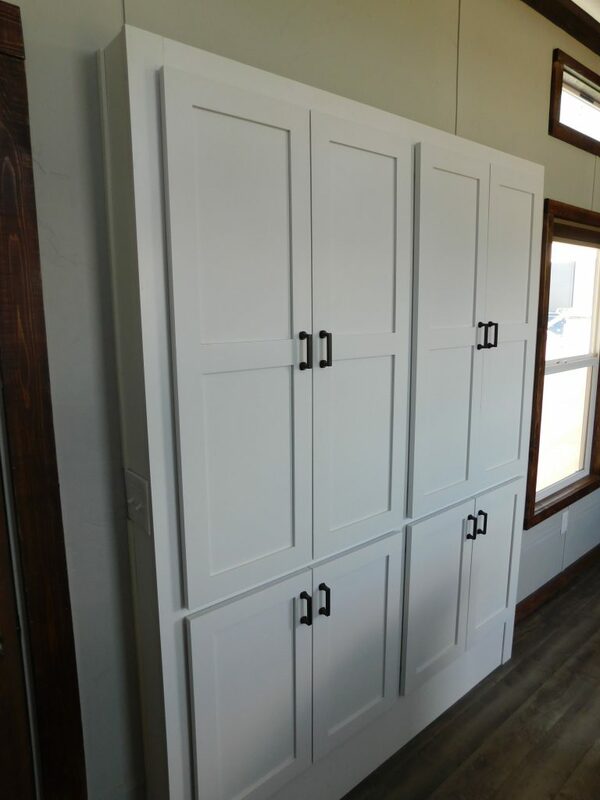 Before entering the bedroom you will notice two doors: one on the left wall and one on the right. 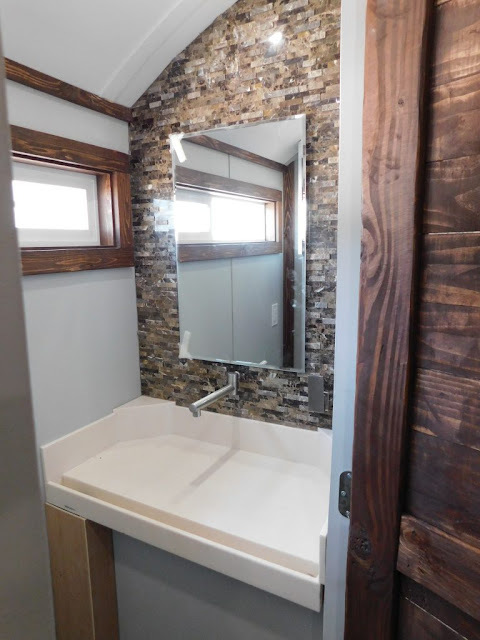 The door on the left opens to the bathroom featuring a deep white tub and shower. 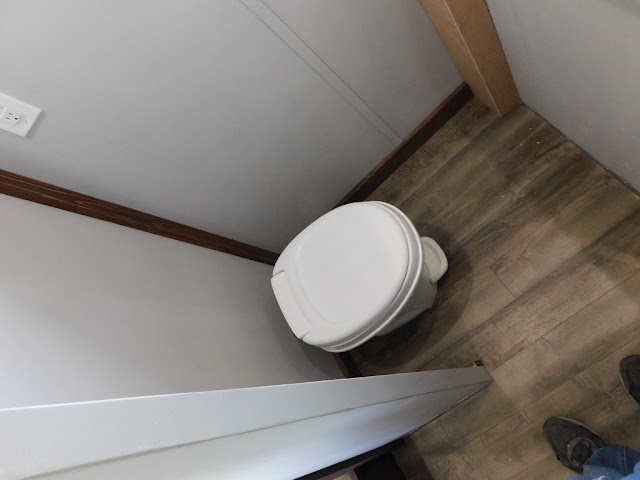 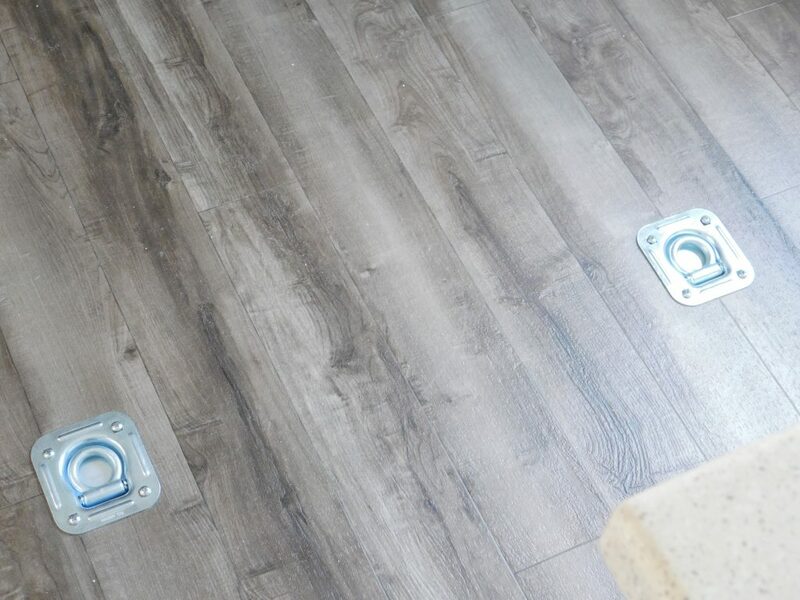 The door on the right opens to the toilet room featuring a white Corian vanity, tile backsplash (same as in the kitchen) and standard RV toilet. 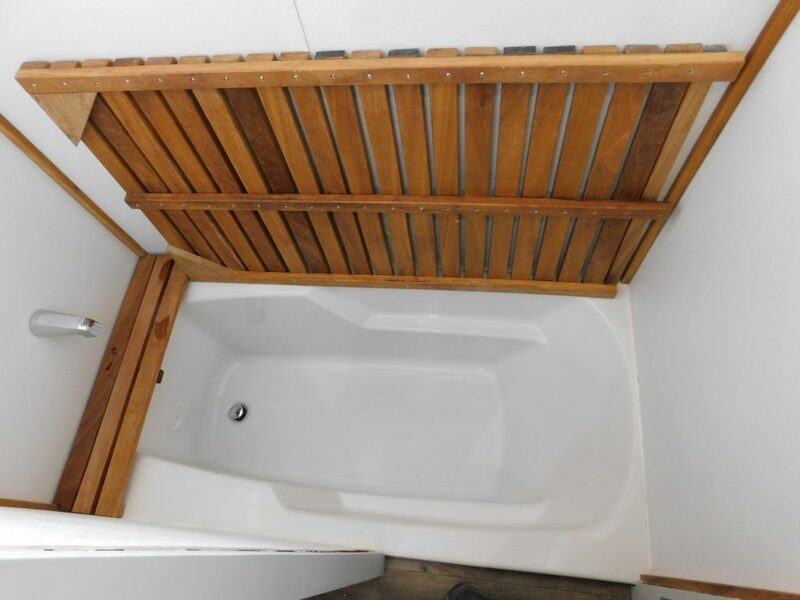 Exit the bath and toilet rooms and continue to the master bedroom. 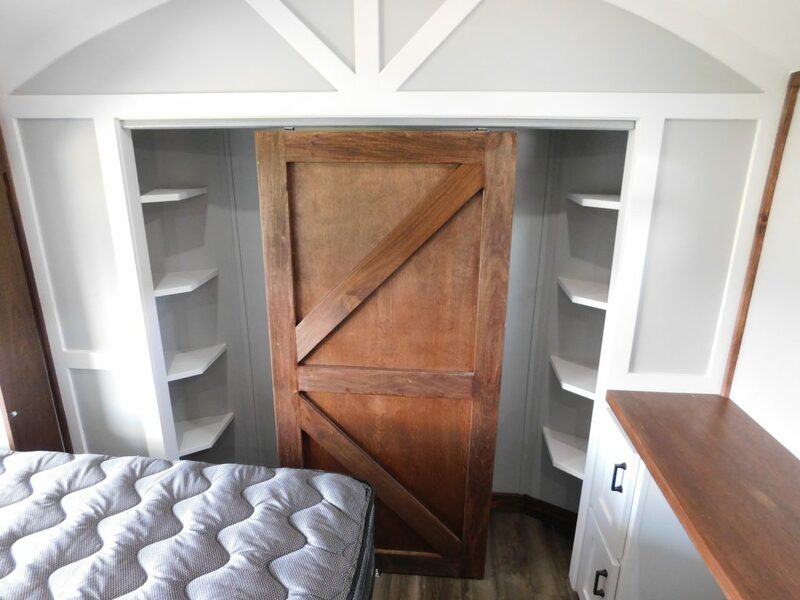 This room has a large closet, queen-sized bed (with storage underneath) and a desk/TV area. If you come out of the bedroom and head to the opposite side of the house, you will enter the living room. 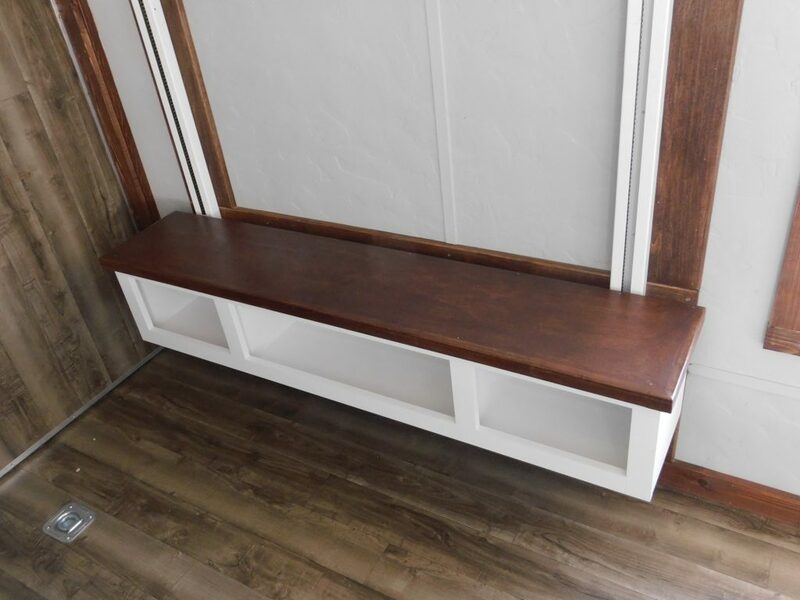 Here you will see a couch (can be converted to a bed) and TV stand. 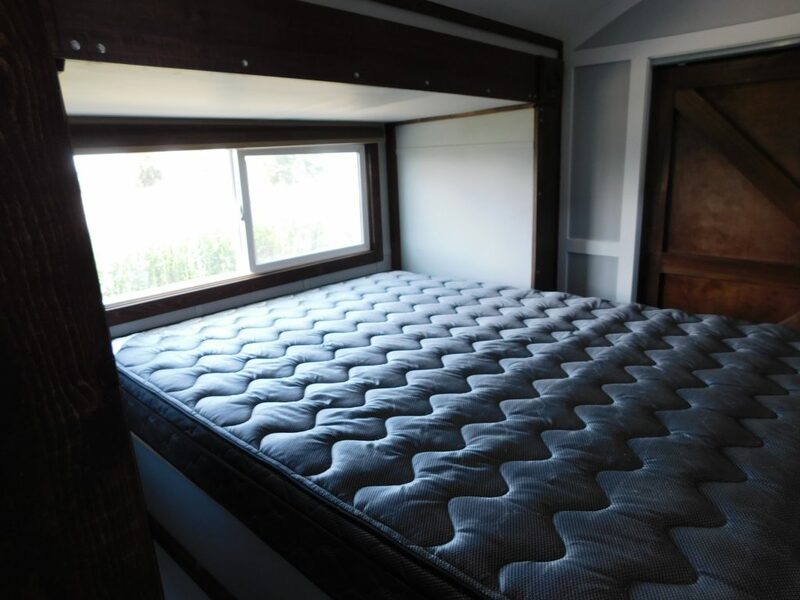 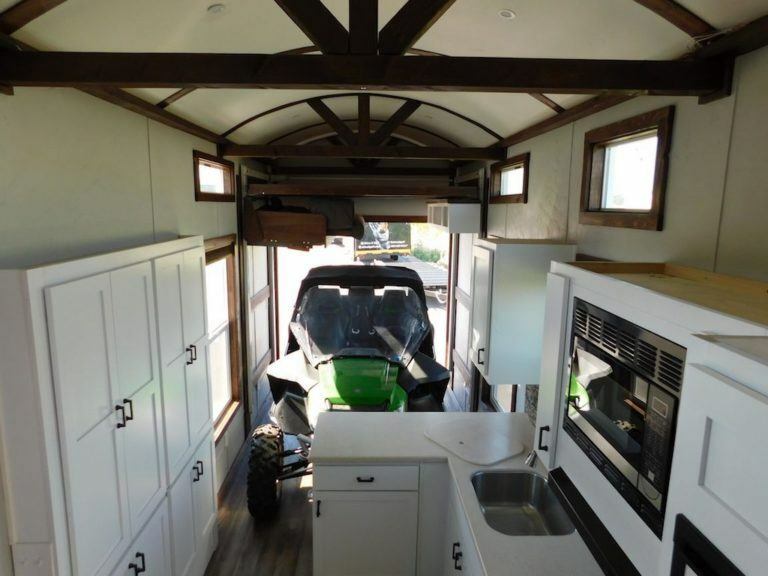 A special feature of this tiny house is that the sofa and lofted queen-sized bed can be raised or lowered to accommodate an ATV and similar vehicles! 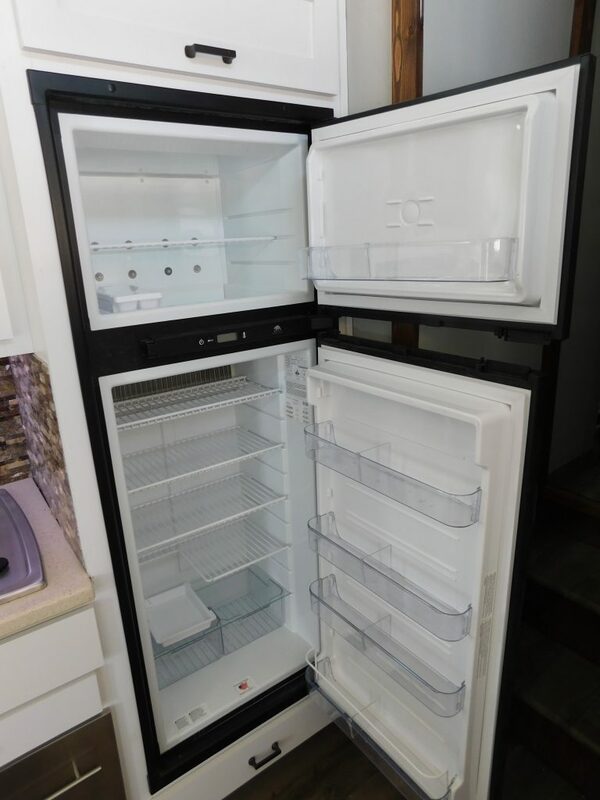 The seller is asking $82,000 for this home, and delivery is included! 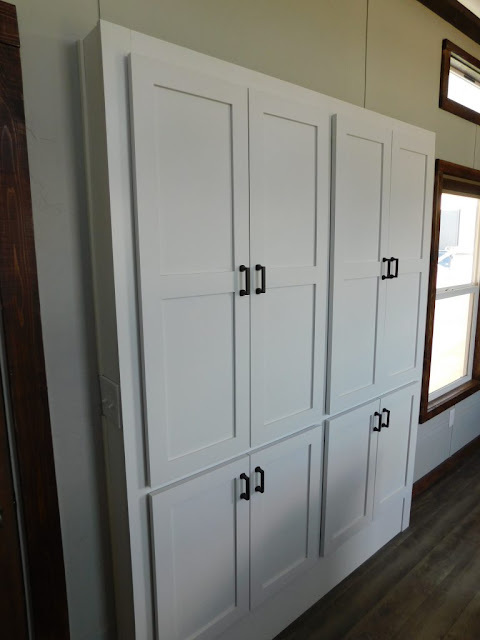 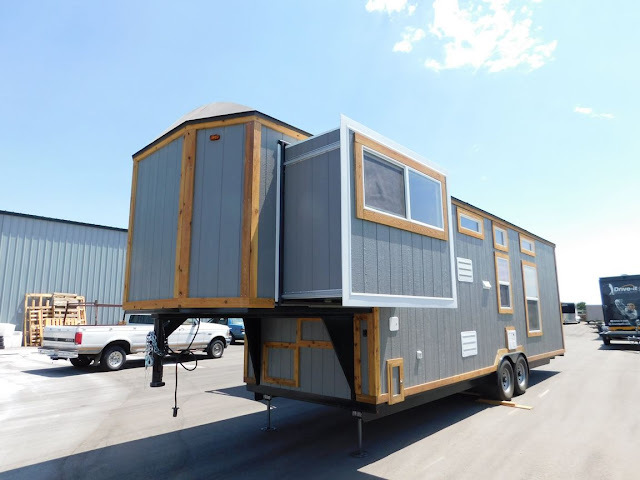 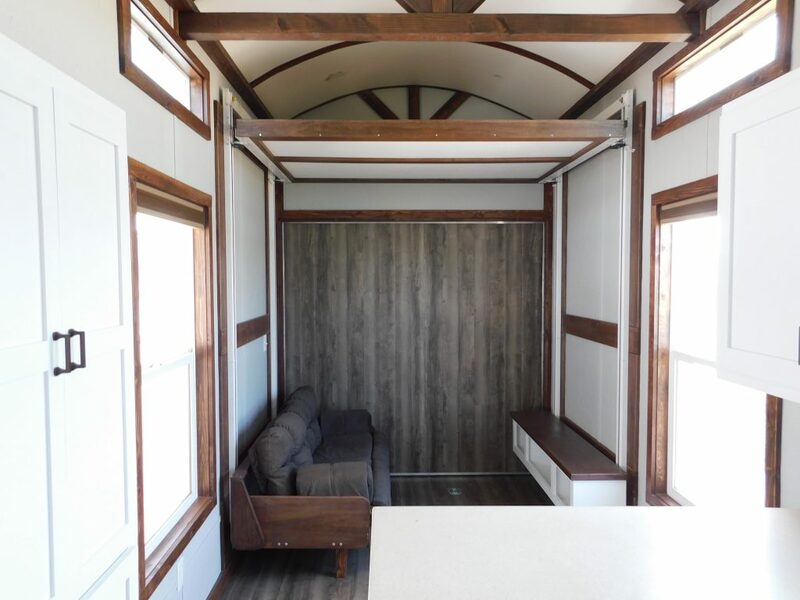 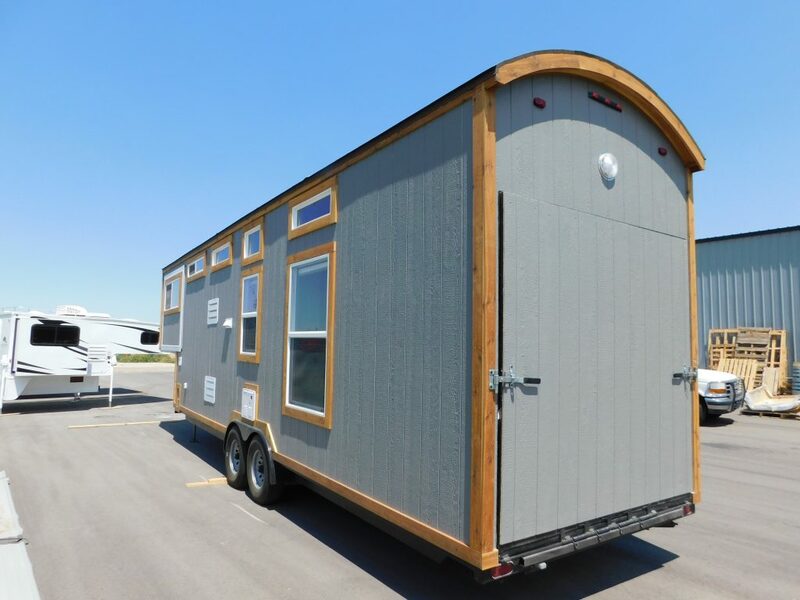 For more information on this tiny home, visit its sale listing here!